J.P. Prince and Joseph Jones remain in Dubai, where they were during a break when President Donald Trump temporarily suspended travel from seven majority Muslim countries. Iran is among them, and officials there threatened retaliation against the United States, including limiting visas to U.S. citizens. Texas A&M’s Joseph Jones (30) goes for the basket while guarded by Rice’s Paulius Packevicius, of Lithuania, during the first half of their basketball game Monday, Dec. 31, 2007 at Reed Arena in College Station, Texas. Agent Eric Fleisher said Monday that team officials are working to renew the visas for Prince and Jones, who are under contract through the rest of the season. Their visas expired during the season, and Fleisher said it is usually the club’s responsibility to arrange visas for all players. Prince played at the University of Tennessee from 2007 to 2010. 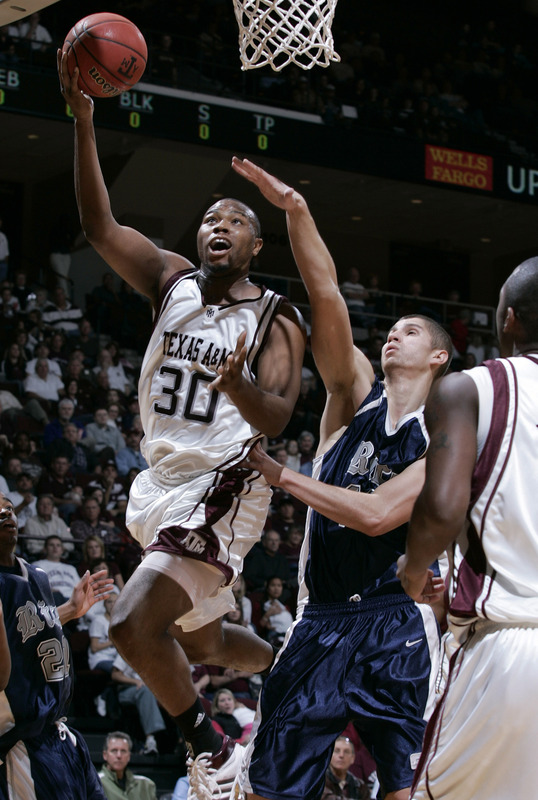 Jones played for Texas A&M University from 2004 to 2008. Fleisher told ESPN’s Outside the Lines on Monday that the players were sent to Dubai by the team as a reward for their play, while the rest of the team remained in Iran. Now, he said, the players were essentially “in the crosshairs” of the issue as they await a resolution by Iranian authorities.